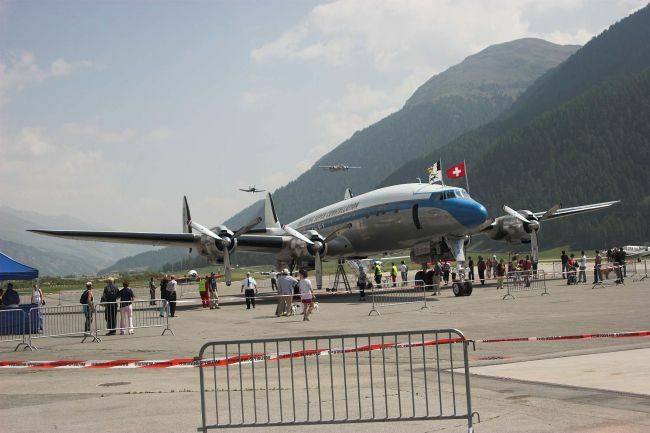 die Lockheed Superconstellation ist eines der beliebtesten Flugzeuge der Fluggeschichte. Nach meinem Wissensstand existieren noch deren 7 Flugtüchtige Modelle. Von denen drei noch Passagiere aufnehmen dürfen, von denen eine in Europa, genauer gesagt in Basel Mulhouse stationiert ist. Und diese kam nach Samedan. Diese erste Flugzeug, dass nonstop transatlantikflüge duchführen konnte, ist ein absoluter Liebling des Publikums. Interessant ist, dass sie pro flugstunde 50 Liter (!) öl verbraucht. In 2 hours you might farm 2 or 3 wow gold stacks and these things go for 10G each, buy wow gold sometimes more... Very easy gold to be made!There world of warcraft gold are many other great places in the Outland cheap wow gold to grind including Nagrand, especially for skinners, the runescape gold for sale Clefthoof give you Thick Clefthoof leather which is rift platinum a great leather for high level leather workers runescape gold and they pay a nice price for them.Not buy rs gold a skinner? You may want to head to runescape gold cheap Nagrand for the Voidwalkers around Oshu'Gun and just south of there on the edge, they drop a lot of Motes. The Shattered Rumblers have a good mote of earth drop rate and the Voidspawns drop mote of shadows.